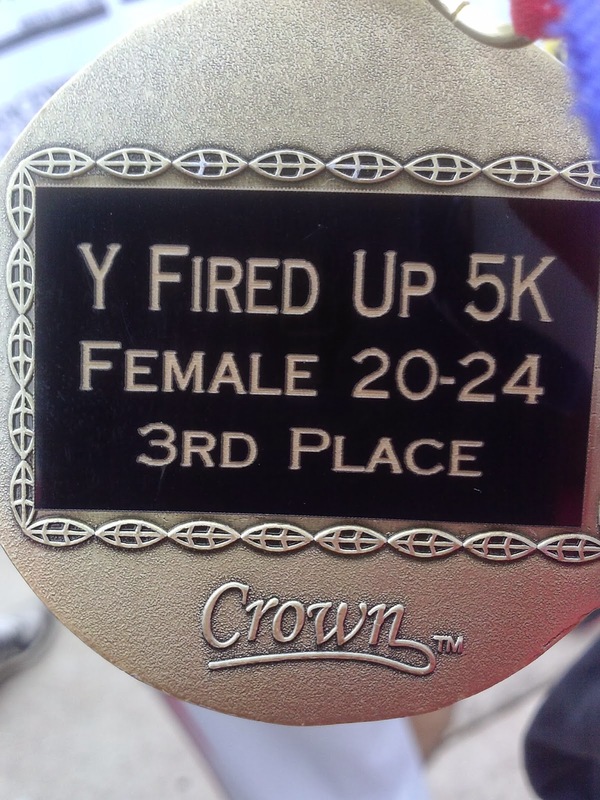 A week ago I ran the Town North YMCA Fired Up 5k with a couple of friends. 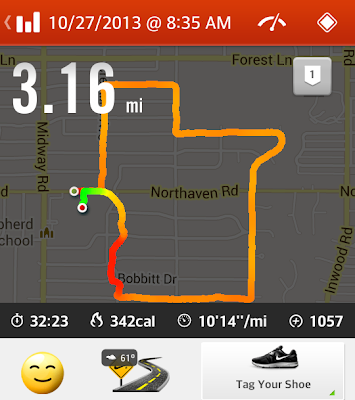 I stayed out late the night before for a Halloween party, so a personal best was not even in mind. Left to Right: Antonio, me, Monica and Joel. It was a small race, 295 runners to be exact. The 5k started at 8 AM. It was cloudy with temperatures in the low 60's. The course took us through a nice quiet neighborhood, one a kid from my hood only dreams of living on some day. I spend the first few minutes trying to get the right tunes on my iPod. After ten minutes, I took of my headphones and decided to enjoy the scenery. Just be in the moment. The majority of the course was flat, until I hit mile 2. I knew I didn't want to walk so I slowed down a lot. I kept telling myself, "your legs are giving up, your body is giving up. Time to run with your heart!" My friends were all done. They were waiting for me at the finish line. So I was surprised when it was announced I came in 3rd place in my age group! First time I win an award of any kind for a race. 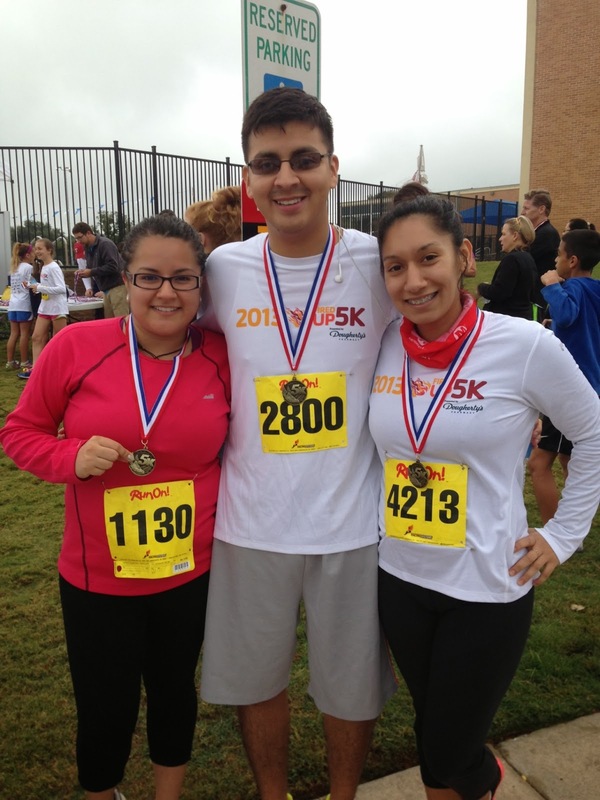 Monica came in 2nd under the same division and our friend Joel also placed in his age group. My official time was 32:14. A new personal best, even though I felt like I could of done better. Either way I have come a long way! 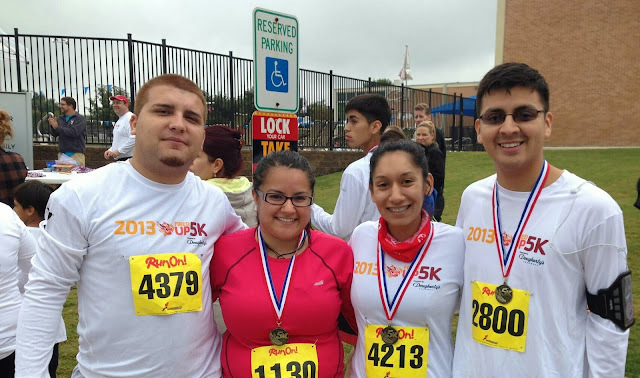 In February at the Texas Half 5k, I finished in 38:55. In May at the Heel and Hills 5k, I finished in 38:39. I know with better preparation, proper rest AKA not partying the night before I can do much better. This definitely has me excited for my next race! I just know my hard work is paying off!